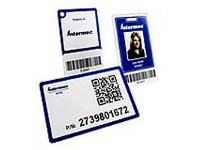 The IT32A, Intermec Technologies’ latest version of a RFID UHF identification card, offers broader applicability than its predecessor with not only EPC Gen 2 / ISO 18000-6C air interface protocol, and both FCC (915 MHz) and ETSI (865 MHz) configurations, but also a longer read range than most RFID card form factors. 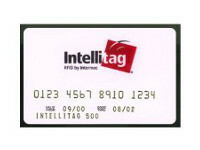 While the IT32A ID card is primarily intended for use as an identification badge for long range ingress / egress monitoring, its longer read range and durable packaging make it the ideal RFID tag for a variety of other applications. 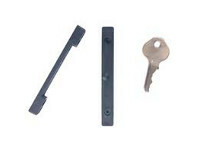 Although the IT32A shares a similar form factor to high frequency (HF) proximity cards, the similarities end there. The Gen 2 technology allows for multiple tag reads, faster read rates and greater range, and unlike earlier UHF products, this card can be read even when placed close to the body. These features make the IT32A the ideal choice for tracking entrances, exits and traffic patterns within a closed environment such as an office, trade show or hospital. The card can be obtained with optional magnetic stripe and can be punched to allow mounting or accommodate a hanging strap. 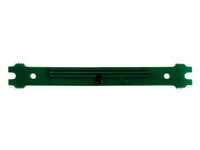 The card can also be printed with human and machine readable code to allow use as a rugged hanging tag, a nameplate or a lower cost, thin profile reusable container tag. 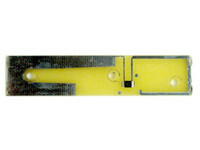 The card can be attached to an object using double-sided tape, non-metallic fasteners or a suitable adhesive coated foam “standoff” (for application to metal surfaces).